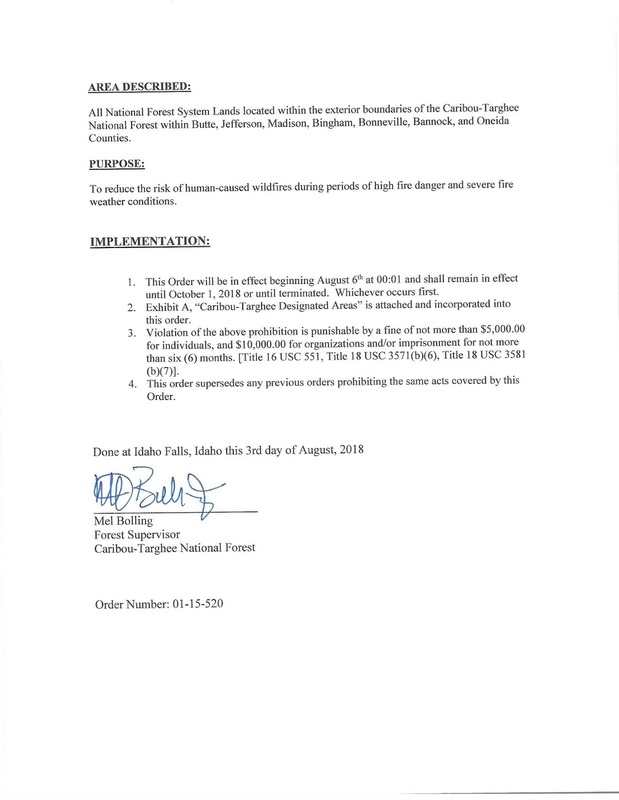 For Immediate Release: August 3, 2018 3 p.m.
IDAHO FALLS, Idaho – The Bureau of Land Management Idaho Falls District, Idaho Department of Lands, and the Caribou-Targhee National Forest are issuing Stage I Fire Restrictions. 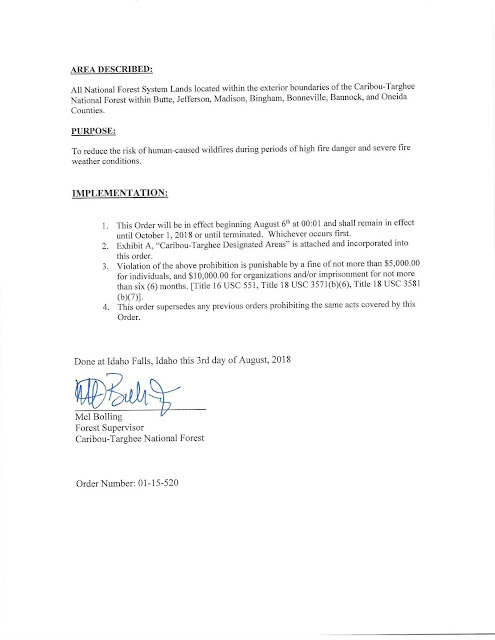 This restriction goes into effect August 6 at 12:01 a.m. on all BLM-managed public lands, Caribou-Targhee NF and state and private lands, in eight eastern Idaho counties, until further notice. 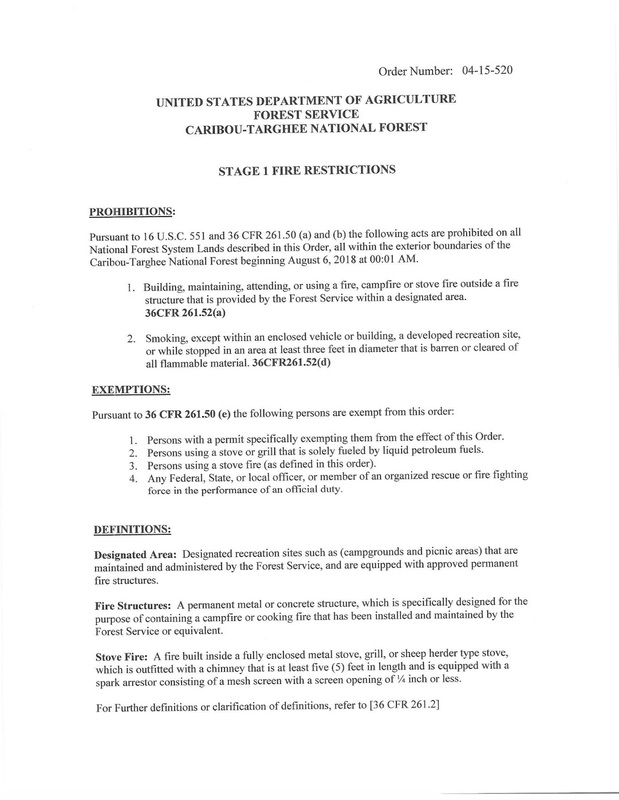 Building, maintaining, attending or using a fire, campfire or stove fire except within a designated recreation site within a fire structure provided by the administrative agency, or, on your own land, within an owner-provided fire structure in an area that has a clearance of ten feet on all sides that is free of any flammable vegetation. Smoking, except within an enclosed vehicle, building or designated recreation site, or while stopped in an area at least three feet in diameter that is barren or cleared of all flammable materials. 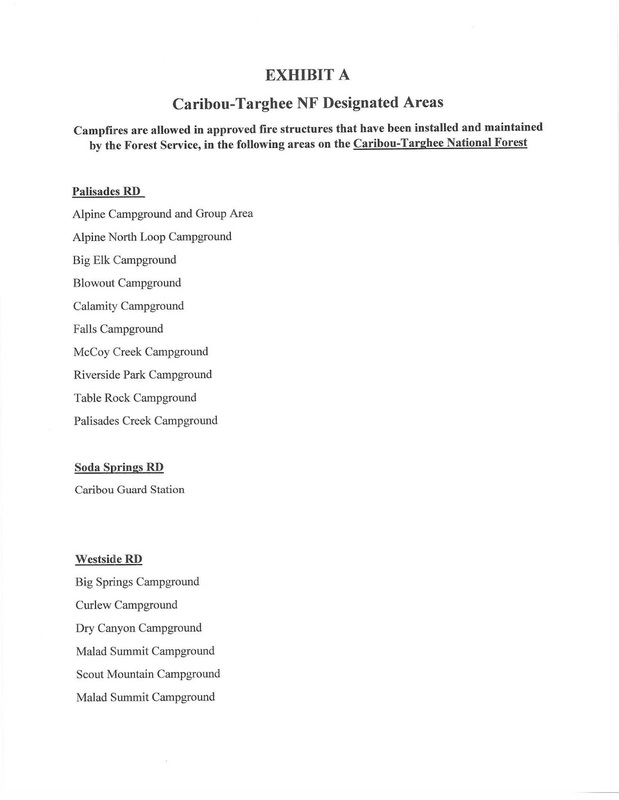 These restrictions include all BLM-managed public lands, Caribou-Targhee NF and all state and private lands in Bannock, Bonneville, Bingham, Jefferson, Madison and portions of Butte, Power and Oneida Counties. 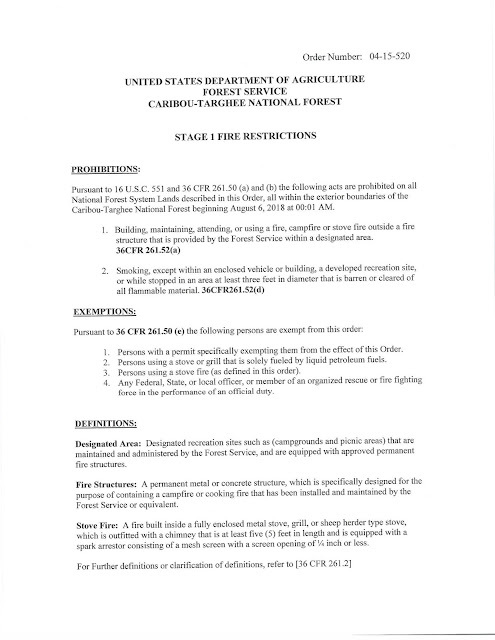 Fire managers are asking the public to be extra cautious when spending time in the outdoors. As a reminder fireworks, exploding targets, incendiary, steel core and tracer ammunition are prohibited on public lands. 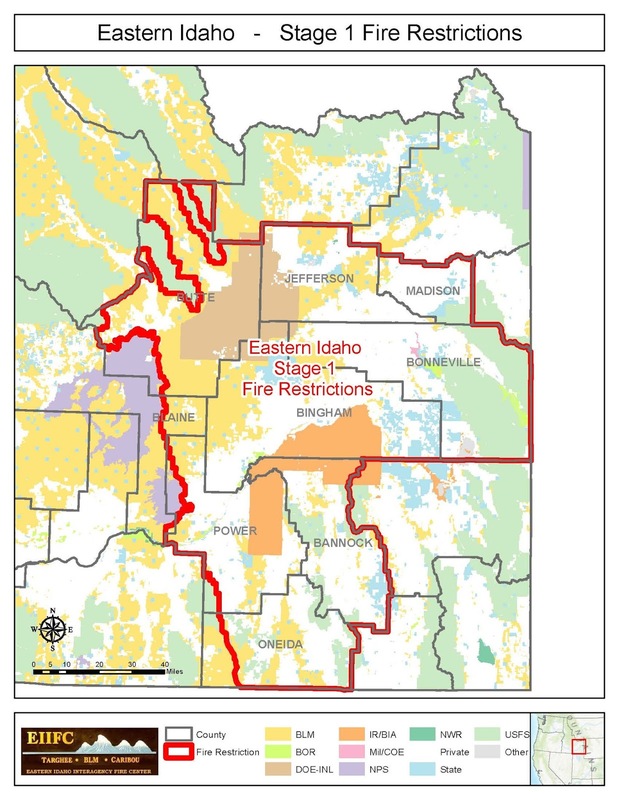 Remember to check county burn bans and local fire restrictions. Contact your local county for information relating to activities on private land. For additional information on Stage I Fire Restrictions, please visit http://www.idahofireinfo.com or call the Idaho Fire Restrictions Hotline at 1.844.433.4737.